Farmers save rainwater for dry seasons. Farmers in Brgy. Biclat, San Miguel, Bulacan are taking advantage of the rainy season by saving rainwater for their rice farms’ use during dry months. Small farm reservoirs (SFR) help them do so. SFR, according to Bureau of Soils and Water Management (BSWM), is a water impounding structure with a maximum height of embankment of 4 meter and average pond area of 1,500 square meters. Farmers with areas no more than 2 ha of rainfed farms find the tool convenient to use. 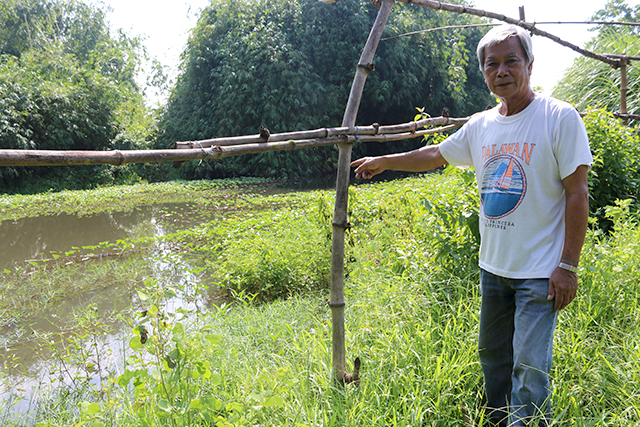 “Almost every farm here has SFR since we have limited water resources and irrigation can’t reach us,” said Rodelio B. Viola, chairman of Biclat Farmers Field School Marketing Cooperative. Farmers use SFRs as fishponds to give them extra income during the first cropping season. They use the water from SFR for rice production in the second cropping season, particularly before or during summer. For farmers who want to start their own SFR, they would have to spend more than P10,000. “We rent digging equipment such as bulldozer or backhoe. 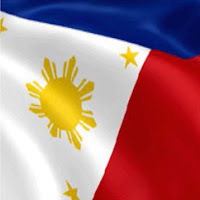 In our area, the rent costs P2,000/hour,” said Florentino B. Salvador, a farmer and owner of three SFRs. “Diggings are made every five years to maintain the depth of the structure as it becomes shallow with soil erosion. If the farmer has resources, he can dig it every year,” he added. Experts at the Rice Engineering and Mechanization Division of the Philippine Rice Research Institute (PhilRice) said that SFR is just one of the water harvesting techniques farmers can use during the rainy season. Other technologies include small water impounding project (SWIP), diversion dam, dug-out pond, open ditch, and rain interceptor ponds and ditches. According to Engr. Kristine S. Pascual, water harvesting techniques such as SFR, are important as there is a negative effect when rice is submerged in the water for a long time. “Aeration will be an issue, resulting in poor tillering of the rice plant,” she said. Pascual also gave tips on managing water in the rice field during the rainy season. “Dikes and irrigation canals must be fixed to make sure that the water flows to the drainage or any impounding structure,” she explained. She added that farmers can avoid the onslaught of typhoons and floods by following a cropping calendar to guide them on the proper timing of planting rice. PhilRice breeders also suggest that farmers can plant flood-tolerant varieties such as NSIC Rc194 (Submarino 1) which has an average yield of 3.5 t/ha and matures in 112 days. For more information on water harvesting techniques, farmers may contact the PhilRice Text Center at 0920 911 1398.